Many women, girls and even girls as the main complement to your outfit prefer a ladies handbag. But modern women accessories almost all of the same type, and we so want to be individual and unique. I want something new that no one girl. That's just thinking of this, immediately the question arises: where do we get such original and unusual handbag or where to buy it? It's very simple. If you have good grandma, or mom has her inheritance, it is possible to find the old bag. Why? From it with little effort, you can make a new and rather beautiful handbag. 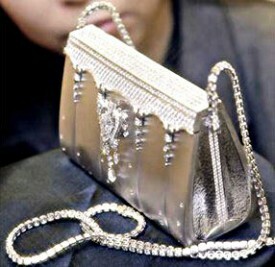 Old grandmother's handbag, accessories, imagination and your efforts. All the old bags handle quite primitive, that is, first we need to get rid of them and replace with new stylish. Remove excess lacquer paste, which are quite often on the old bags on the side. It is now not relevant, and they will only let you create your masterpiece. For this you need to RUB them with sandpaper in different directions for best Erasure. If the handbag there are metal fittings, it should be a good Polish – this can be done with the help of special pastes or using the same sandpaper just fine. 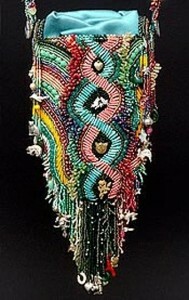 If you want to decorate your purse, can sheathe it with beads from the front side. To create a new handle you can use a thick twisted cord and wire, the wire should be elastic. The two ends make a loop. Then this wire need to twist the cord. 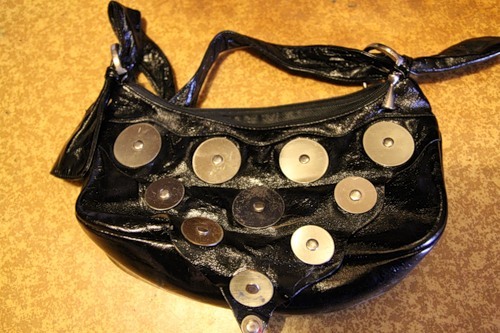 Then attach the handle to the purse, the accessory is ready! Most importantly – do not overdo it. If you want to post any original stuff on the bag this is legitimate, but everything is good in moderation! If you have no desire to Tinker with beads and sandpaper, you can take a cut on the Jersey (your old sweater, cut out a rectangle to fit the old bag. Knitted bags are in fashion now.